Mateusz Machaj writes: I first met Professor Hans-Hermann Hoppe in 2003, when he visited Poland for a libertarian conference. Most of the participants were interested in normative issues and political philosophy, whereas very few were interested in Austrian economics. Hence, I was coincidentally the only one to engage with Professor Hoppe in extensive discussions on theories of the Austrian School. I did not hesitate shamelessly to consume his time for the personal benefit of learning more about economics from one of Rothbard's most important followers. After this meeting, fortune continued to smile on me — it turned out that despite substantial geographical distance, I have enjoyed such productive conversations with my German mentor at least few times a year. One of my favorite books, and among the most important for my intellectual development, was Hoppe's A Theory of Socialism and Capitalism, which could be labeled "property economics in one lesson," and, in the opinion of the present writer, is as important an introduction to Austrian economics as Hazlitt's classic. After reading Hoppe's book, one understands that political economy and comparative analysis of economic systems are about the external effects of different property regimes. As Hoppe proves, society and economy are themselves great positive external effects of private property, whereas socialism and interventionism are associated with negative external effects that eventually lead to destruction of society and economy. We would like to follow Hoppe's insights here: this article attempts to reformulate Mises's calculation argument into a property argument. Private property provides enormous, positive, external effects that will disappear once it is abolished. Imagine a dancing contest in which a group of judges is assessing the dancers. Three essential elements are required, without which any judging of that kind would not be possible. The first one is a cardinal numeration system. Every judge has certain qualitative evaluations about each performance; he could rank all the performances in order according to his view. However, there would be no way to compare those individual assessments vis-à-vis each other without the existence of a common denominator. The use of cardinal numbers serves this function. Numbers offered by judges are simply added, and then the final result shows us a ranking of all performances. The second element, necessarily connected to those numbers, is a quasi-"competition" between views of judges. Obviously, if all judges expressed the same opinion, there would be no point in having more than one. To certain extent, they do differ and do make different judgments (even though they might end up with the same conclusion). Having more than one judge justifies the use of numeric rankings, because these will serve as common quantitative denominator for all qualitative opinions. If there were only one judge, then we would not need cardinal numbers, as he could just rank the performances without assigning cardinal numbers to them. The third essential element is a set of rules and constraints. Judges act within certain limits set by the rules. For example, they are constrained in their choice of numbers 1–10 and, therefore, cannot bid their scoring infinitely. Apart from this, no judge is allowed to overrule the decision of another judge, and there is no supreme judge who would assign possible numbers to other judges of a lower level. Otherwise, if there were one ultimate judge, for example, allowing judges to use only certain numbers, then he would of course decide about the final assessment, and not the judges themselves. Under this absurd condition, the decision process would boil down to a process in which neither the judges of the lower level nor the numbers they use would be needed. The situation in place would be the same as one in which one judge assesses the performances based on his preferences. In this case, qualitative valuation could substitute for a numerical one. These three elements are integrated and cannot do without one another. Without numbers, there can be no common denominator for all qualitative assessments. If judges do not differ in their assessments, then there is no point in using numbers in the first place. (The use of a denominator would not be needed.) And if there are no rules concerning numerical assessment, then the whole process will not make sense. However trivial this might seem, it actually provides us with a demonstration of the difference between socialism and capitalism. I call this analogy a "bad, good analogy," because it is both good and bad. It is good, because it demonstrates some connections that are also present in the capitalist economy. The analogy is also very bad, because the market process is not otherwise like a dancing competition, hence the analogy could be easily misinterpreted. The purpose of this paper is to point out that "price ratios," as numerical ratios per se, are not the key element in the analysis of socialism, for it is a property structure that makes it differ from capitalism. Although the contest analogy above does not exactly describe the market process, we can make sense of some observations concerning it. The market itself is necessarily linked to three interconnected elements, which cannot exist apart from each other: economic calculation, the intellectual division of labor, and private property constraints. Economic calculation allows for the comparison of many different ways of producing things. Imagine that one wants to produce a table — the range of possibilities is huge. One can use different tools, machines, resources, or laborers. These all are heterogeneous and cannot be added together in either physical terms or labor hours. Fortunately, there is economic calculation — all the factors have their monetary prices, hence one can add them together in terms of money and then decide which decision is the most economical. In this sense, money units are a way to "measure" the amount of used factors of production, which cannot be expressed together in one physical unit. The term intellectual division of labor conveys the idea that different entrepreneurs have their own property and that they compete within property boundaries for factors of production. 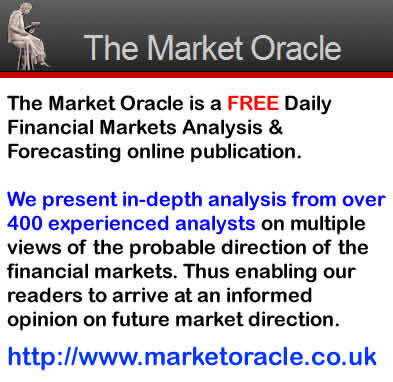 Each of them speculates and assesses conditions of the market. Competition between them allows for factors to be valued in terms of money. The calculus becomes the link that connects different opportunities and entrepreneurial expectations. Without competition transmitted through prices this way, there would be no point to economic calculation. The third group of elements, private property constraints, is a set of rules without which the process of competition could not be realized. Each entrepreneur controls money capital and factors that he owns — his economic decision making about these scarce resources is the driving force for successful employment of the factors. He does not decide about all the other factors, and his current decisions will have an important effect upon his future income. This introduces a real boundary on his choices, for he personally will lose or gain in the process of competition (in terms of ownership). Only because of this influence can the intellectual division of labor have real effects on the economy. The owner of particular resources is making a decision only about a small element of the whole economy, since only he controls his ownership, and not the ownership of other people. In this sense, the intellectual division of labor is shaped by distribution of ownership. Without this division of ownership we could not speak of the entrepreneurial division of labor. Socialist systems differ from the capitalist process by establishing one compulsory owner, who becomes the ultimate decision maker in the economic system. The consequences of that step are unavoidable, since without private property there can be no intellectual division of labor. Instead of the market process, there is a physical and compulsory exclusion of competition, which substitutes for the market one ultimate decision making process, directing allocations of factors. The central owner does not determine the value of factors of production as the market process does, because he has no means to relate his assessment to other opportunities that might have been perceived by other entrepreneurs. There is no basis for quantitative discrimination between production projects, for there only can be a straight ordinal valuation of them (a valuation of completely vertically integrated processes). The so-called "social appraisement process" is abolished once private property is abolished. Socialists have responded to Mises's challenge in many different ways. Unfortunately, in his critique he concentrates too much on only one aspect of the problem, namely economic calculation. In the previous section, Mises's argument has been reformulated mainly in terms of the following emphasis: we have now changed the focus from prices to the intellectual division of labor being a product of property distribution. Socialism is a system organized by one owner, where there are no entrepreneurs competing for the most valuable use of resources. Even if one owner establishes some numerical system, this in no way differs from a straight ranking of all the possible ways of producing things. These centrally administered "prices" do not change anything since one owner establishes them, one owner acts upon them, and one owner changes them ex post. From the very beginning he employs the managers (there is no market for corporate control) and decides what in the accounting books is registered as profits and losses. In contrast, market economy prices are the result of different actions of competing owners and this is their nature: as a common denominator for different property assessments. If only one owner establishes prices, then they lose their basic feature as a denominator for the competition process and become only the expression of one owner's preferences (hence they cannot be used as an independent economic indicator). Using prices in a socialist system is equivalent to a straight ordinal ranking of the processes by a central planner. This certainly makes calculation possible, but does not get us far, since prices alone are not enough. Along with prices, allocation decisions are needed, which will then reconstruct the price system. In a capitalist system, expectations and property decisions of competing owners constantly rearrange prices. In socialist systems, we have one owner and previous capitalist prices. But what's next? How is a planner supposed to act upon these prices or reshape them? Competition is not based on the existence of past prices, but on speculations upon the future state of the market. Just because some prices existed in the past does not solve the problem of economic calculation as posed by Mises. Many of the writers who have criticized collectivism have hesitated to use as evidence the practical difficulties in establishing on paper the various equivalent; but it seems they have not perceived what really are the difficulties — or, more frankly, the impossibility — of solving such equations a priori. If, for a moment, we assume that economic variability of the technical coefficients may be neglected and we take account of their technical variability only, it is not impossible to solve on paper the equations of the equilibrium…. But it is frankly inconceivable that the economic determination of the technical coefficients can be made a priori, in such a way as to satisfy the condition of the minimum cost of production which is an essential condition for obtaining that maximum to which we have referred. This economic variability of the technical coefficients is certainly neglected by the collectivists…. The determination of the coefficients economically most advantageous can only be done in an experimental way: and not on a small scale, as could be done in a laboratory; but with experiments on a very large scale. Some collectivist writers, bewailing the continual destruction of firms (those with higher costs) by free competition, think that the creation of enterprises to be destroyed later can be avoided, and hope that with organized production it is possible to avoid the dissipation and destruction of the wealth which such experiments involved, and which they believe to be peculiar property of "anarchist" production. Thereby these writers simply show that they have no clear idea of what production really is, and that they are not even disposed to prove a little deeper into the problem which will concern the Ministry which will be established for the purpose in the Collectivist State. In this proposition, the planner is supposed to employ the specialists, perhaps past entrepreneurs and businessmen; while sitting around the table, they should figure out which range of production processes would be the best (or, as in the case of democratic socialism, this could be put to a vote). As we saw above, this would be only a paper game since the real competitive process requires that each market participant owns some resources and by his expectations and anticipations, within the property limits, competes with others for more ownership. As a planner and his employees determine the range of production processes in absence of bidding and exclusion based on property boundaries, their effort is completely different in nature than in capitalism. No competition exists in this scenario, for "competition" in it is as real as that between children who, without funds, bid at the auction. Our "good, bad" analogy shows us that juries in the dancing contest must act within properly set numerical limits. Somewhat similarly, entrepreneurs are acting within real limits — possibility of control of resources. If they sit around the table without the limit set by property constraints, how can they compete and bid for the factors? How can one discriminate within plain proposition and suggestions? The fact that public service differs from business transactions in the marketplace does not stem from the incentive problem, or from the vanity of government employees. The problem lies exactly in the difference between acting on paper and actually bidding on prices with the use of property. Otherwise, the bidding process is in no way different from a game of Monopoly. This solution mistakenly assumes that entrepreneurship is a result of management, not of control. It ignores the fact that entrepreneurship is a result of being an owner, supreme controller, i.e., the final decision maker. Naturally, in capitalism, owners might delegate to others the authority to act on their behalf, but this does not change the nature of entrepreneurship, i.e., ultimate control of a particular resource. But, this feature changes under socialism, where only one owner delegates responsibility for decisions to subordinates in the economy. Following our dancing analogy, if there was one person deciding which judge should use which number, then it would be obvious who is, in fact, making the assessment. It is exactly the same case in "competition" between the managers, as they all have one ultimate boss. The central planner appoints the managers; the central planner decides about wages. The central planner decides about structure of industries, about which part is to be controlled by the manager and how particular inventories can be affected. Surely, he is the one who ultimately decides, even though he might transfer some of his duties to his subordinates. This does not change the fact that the whole system is subjected to one will acting. There is no capital market, no land and real estate market, no asset market, nor any market for corporate control. Similarly, although managers in capitalism control resources to some extent (which creates a possibility for agency problems), ultimately owners still control the assets. This proposition was to be mixed with the previous one; however, we will deal with separately. Specifically, Taylor, and then Lange after him, suggested that prices are supposed to be indicators responding to physical quantities. If hammers are piling up in a warehouse, the central planner is supposed to lower the price. If a delivery is late, then the planner should raise the price. However, the problem noted earlier still remains: decisions about all industrial structures, employment, and possible actions are set up from the beginning by the central planner. Nothing, in this regard, is a result of the competitive process. He, of course, must instruct his subordinates how to act using his invented "price system." Instructions to the managers about what rules to follow are given by the planner himself. These two decisions will cause surpluses and shortages somewhere, and so the central planner will have to continually adjust his ratios to arrive at the accounting, which equalizes the quantity demanded with the quantity supplied. But what does this mean exactly? Isn't each factor at a factory subjected to central planner's decision? Every factor is already put in the central plan — what then is a "surplus" or "shortage" supposed to mean? The planner decides when and how the prices are supposed to change — he then bounds himself and adjusts his decisions to his own decisions (in the capitalist system, a pricing mechanism for one entrepreneur is a mechanism of adjusting his actions to actions of others in the area of intellectual division of labor). Apart from this, there are no real "bankruptcies" as we see them in the capitalist system. "Losses" in capitalism are linked to a rearrangement of ownership, for costs which are higher than prices cause liquidation — a transfer of assets between different parties. None of this is present in socialism, since one owner makes all decisions concerning officially administered prices, factor distribution, and alternative employment. We see then that everything is a derivative of the central planner's ultimate decision making. Apart from that, it is useful to point out that a process of production is not instantaneous. In other words, just because some factors or goods are stored for a certain time, not employed at every single moment, it does not mean that such storage is uneconomical. Under capitalism, such storage is under the boundary of the intellectual division of labor. Under socialism, it is a product of authoritative use of aggressive force. Or to put it differently, categories of shortages and surpluses are not simple accounting and physical categories, but complex economic phenomena judged by entrepreneurs within the framework of monetary appraisement. The argument about the economic chaos resulting from the establishment of socialism (understood as one compulsory owner) was restated in this article. It was shown that socialism's economic deficiency does not result from the lack of a numerical system; rather, it flows from essential characteristics of socialism. Socialism means dictatorship, necessarily survives as dictatorship, and no centrally produced accounting ratios will change that fact. As such, competition is literally impossible under socialism, and this cannot be changed by the introduction of centrally administered accounting ratios. A motto of Hoppe's Property and Freedom Society is Bastiat's aphorism, "Property does not exist because there are laws, but laws exist because there is property." Frédéric Bastiat, "Property and Law," in Selected Essays on Political Economy, Seymour Cain, trans., George B. De Huszar, ed. (Irvington-on-Hudson, New York: Foundation for Economic Education, 1995 ); the website of the Property and Freedom Society is located here. Curiously, it is often argued that free market economists, as opposed to more interventionist ones, ignore "external effects." In fact, rather the opposite statement is true. Free market economists analyze these elements in detail, but perhaps do not use the term "external effects" very often. On the other hand, interventionist theorists use the term quite often, but usually completely ignore external effects of institutionalized aggression in their analysis. This defect is completely absent from Hoppe's works. The term "intellectual division of labor" was used by Mises. Ludwig von Mises, Economic Calculation in the Socialist Commonwealth (Auburn, Ala.: Mises Institute, 1990), p. 18. See also the great work by Misesian Joseph Salerno, "Ludwig von Mises as Social Rationalist," Review of Austrian Economics 4 (1990). In Mises's Socialism, the term was translated as "mental division of labor." Ludwig von Mises, Socialism: An Economic and Sociological Analysis (New Haven, Conn.: Yale University Press, 1951), p. 118. Both terms might be misleading — it would be better to use the term "entrepreneurial division of labor," as I discuss in my "Market Socialism and the Property Problem: Different Perspective of the Socialist Calculation Debate," Quarterly Journal of Austrian Economics 10, no. 4 (December 2007): 257–80. Different firms exist because of the competition within the uncertain world; this differs from the Coasian view that some monetary costs cause the existence of firms. See Ronald H. Coase, "The Nature of the Firm," Economica 4, no. 16 (1937). Writes Mises: The essential mark of socialism is that one will alone acts. It is immaterial whose will it is. The director may be an anointed king or a dictator, ruling by virtue of his charisma, he may be a Fuhrer or a board of Fuhrers appointed by the vote of the people. The main thing is that the employment of all factors of production is directed by one agency only. Ludwig von Mises, Human Action: A Treatise on Economics (Chicago: Contemporary Books, 1966), p. 695. This is the term used by Salerno, "Ludwig von Mises as Social Rationalist." See also Jeffrey M. Herbener, "Calculation and the Question of Arithmetic," Review of Austrian Economics 9, no. 1 (1996): 151–62. On this point see G.D.H. Cole, Economic Planning (New York: Kennikat Press, 1971), pp. 183–85; Walter Eucken and Terence H. Hutchinson, "On the Theory of the Centrally Administrated Economy: An Analysis of the German Experiment. Part I," Economica, n.s. 15, no. 58 (1948); idem, "On the Theory of the Centrally Administrated Economy: An Analysis of the German Experiment. Part II," Economica, n.s. 15, no. 59 (1948); Morris Bornstein, "The Soviet Price System," American Economic Review 52, no. 1 (1962). See Mises, Human Action, p. 58: "Understanding is not a privilege of the historians. It is everybody's business. In observing the conditions of his environment everybody is a historian. Everybody uses understanding in dealing with the uncertainty of future events to which he must adjust his own actions. The distinctive reasoning of the speculator is an understanding of the relevance of the various factors determining future events. And — let us emphasize it even at this early point of our investigations — action necessarily always aims at future and therefore uncertain conditions and thus is always speculation. Acting man looks, as it were, with the eyes of a historian into the future." For Mises's response to initial criticism that was particularly weak, see Ludwig von Mises, "New Contributions to the Problem of Socialist Economic Calculation," in Richard Ebeling, ed., Selected Writings of Ludwig von Mises: Between the Two World Wars: Monetary Disorder, Interventionism, Socialism, and the Great Depression (Indianapolis, Liberty Fund, 2002). Sometimes improperly mixed with a dynamic market socialism model. Enrico Barone, "The Ministry of Production in the Collectivist State," in F.A. Hayek, ed. Collectivist Economy Planning (London: Routledge and Kegan Paul, 1935 ), p. 287; emphasis added. See, for example, G.D.H. Cole, Chaos and Order in Industry (London: Metheun & Co. Ltd., 1920). We can echo here Mises's phrase "play[ing] market." Mises, Human Action, p. 709. This has been suggested especially by Oscar Lange and Fred M. Taylor, On the Economic Theory of Socialism (New York: McGraw-Hill, 1956). Interestingly, another brilliant Austrian economist, Israel Kirzner, seems to commit the same fallacy. His mistake is a result of "confusing the category of entrepreneurship as it is defined in the imaginary construction of functional distribution with conditions in a living and operating economy." See Mises's argument on this, in Human Action, p. 306. For an application of this to modern corporation theory as it relates to insider trading, see Henry G. Manne, Insider Trading and the Stock Market (New York: The Free Press, 1966). Again see on this Cole, Economic Planning; Eucken and Hutchinson, "On the Theory of the Centrally Administrated Economy" (Parts I & II); and Born-stein, "The Soviet Price System." Fred Taylor, "The Guidance of Production in a Socialist State," American Economic Review 19, no. 1 (1929). Mateusz Machaj, PhD in economics; is a founder of the Polish Ludwig von Mises Institute. He's been a summer fellow at the Ludwig von Mises Institute. Send him mail. See Mateusz Machaj's article archives. I am not going to bother refuting all of this obviously biased article, but as you used a graphic alongside the title of a man holding a gun at the head of a man holding a bag of money I will comment on why you are SO VERY wrong. Communism as a theory created by Karl Marx was done so when he was in London at the behest of the banking elite as just another system to centralise power so the banking elite largely headed by the Rothschilds could dispose of the Czar who resisted their attempts to impose a Russian central bank. Socialism which became the system which followed the theory was therefore bankrolled by the banking elite and in no essence worked for the benefit of society. It is, therefore, a classic unconscious 'doublethink' by yourself to actually believe there is any difference between them. In the world of a banking elite and bodies like the Council for Foreign Relations, Bilderbergers, Chatham House, Tavistock Institute, Federal Reserve etc. they try and pretty much succeed in being the ultimate decision maker. In essence, their existence tries, one could argue does make them the ultimate 'compulsory owner'. As the banking bailout has shown, it is the bankers instead who routinely hold a gun to the populous's head, saying almost, "the system will collapse, we will have chaos unless you give us your money." If you care to do your own homework, you can see, (the testimony is captured on video) or listen to various US congressmen stating exactly this with regard to the Bailout Bill for banks in the US, when they were threatened that martial law would be imposed if they didn't pass the bill. Similarly, any country that resists the banker's attempts through their controlled bodies, the IMF and World Bank to impose the repayment of debt before socially constructive programmes finds CIA involvement in their countries' affairs, see Chile as proven by documents released by President Clinton. Also, of course you will find that the banking elites as headed by the Federal Reserve - owned privately by the Rothschilds, JP Morgan's (Rothschild subsidiary's from the time of the actual J.P. Morgan) and Rockefellers alongside a few others - control the US's major economic decisions. The central planner, within a supposedly 'Socialist' - as in acting in society's interests - but in reality Capitalist system does what is in the interests of the banks and the ruling elite. This time it looks like the CDOs and derivatives market possibly caught them unawares, although I would argue it was part of a greater plan to eventually try and impose a New World Order and create problems which hopefully will not lead to a North American Union and Amero currenvy. For the individuals at the top of the banking system, it enables them to sell high and buy low, turning paper money or figures on a computer screen into real property, smaller banks or businesses which they buy up in times of recession. This can be more clearly seen by the fortunes made by those who controlled the system at the time of the 30's depression. And what causes the recession, but the Central Planner's decision to ease interest rates sucking in people and small businesses' capital. Then the Central Planner ie the Federal Reserve raises interest rates until people and business cannot afford to pay their debts. It could be argued that the mainstream media - also owned by the banks -then change people's and commentators perception of the economy triggering the recession as people start to save money and the more astute dash to sell their investments. Of course, the Federal Reserve as the bastion of the private banks and ruling classes of the Western world through the creation of a central bank and debt-based system of Capitalism funds huge armies which impose US might upon the world. Thus the US dollar is the world's reserve currency and decisions made by the US or UK banking elite (do your own research to find out about Nathan Rothschild) impact upon the whole world. So much for the people controlling the bankers or 'Socialism' pointing a gun at the heads of those with money. The elite banker-funded world pay for the armies, they are ones holding the guns. Socialism? Yes please. Only for the People, not the banks this time. Honestly, this is a joke. I am not a socialist but your bias is breathtaking and the fact you attempt to bludgeon those unfamiliar with academia by referential posturing and some spurious reference to a PhD is doubly a joke. "Socialism means dictatorship" - wow, SUCH intellectualism. in the capitalism system, man exploits his fellow man. in the socialist system, the reverse is true.